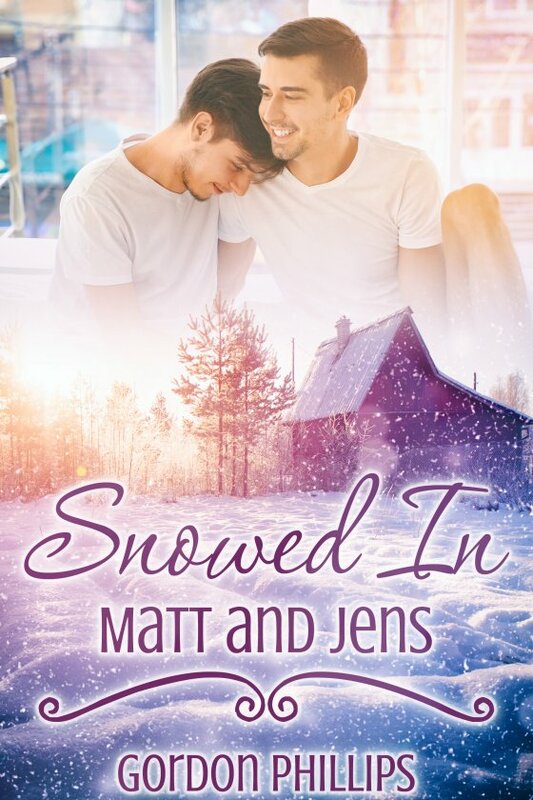 Snowed In: Matt and Jens by Gordon Phillips is now available! Handsome detective Jens barely escapes with his life in the course of his work and has no choice but to land his damaged Cessna at an abandoned airport. Suffering from snow blindness and ill equipped to survive arctic conditions, he collapses at the entrance of an occupied building. Rescued and attended to by the sole occupant, Jens recovers, and is ready to unravel the mysteries surrounding his rescuer. Maintenance worker Matt found escape from a world full of pain and rejection at the closed arctic airport. He nurses Jens back to health, eager to set him on his way again. When an unexpected blizzard forces Jens to stay, is Matt clearly uncomfortable at the development. Strongly attracted to Jens, however, Matt slowly opens up and reveals his painful secrets, all except the most dangerous one … a secret that threatens to destroy their fragile relationship. With Jens’ assistance, will Matt be able to finally overcome the pain that drove him to his separation from society, resulting in a lonely existence? How will Matt’s dark secret influence their lives? Will it destroy Jens’s career, or will it draw them closer together?